The Center for Outpatient Medicine’s mission is to provide our community & members of our Medical Staff with safe, high quality, efficient medical care in a personal, professional, profitable & pleasant manner. To maintain a level of excellence in the health of our community through a continuum of medical services designed to meet the specific needs of patients, their providers and their payers. 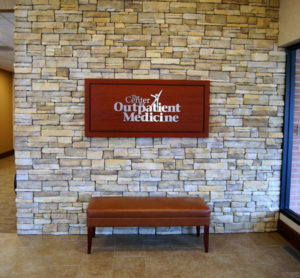 The Center for Orthopedic Medicine, LLC, d/b/a The Center for Outpatient Medicine, originally known as McLean County SurgiCenter, was founded in July of 1991. McLean County SurgiCenter was envisioned by Drs. Bratberg, Dustman, and Irwin several years prior to that as a freestanding ambulatory surgery center. It was designed to provide orthopedic surgical care to the patients of McLean County Orthopedics, Ltd. A certificate of need was granted to McLean County Orthopedics in December of 1990, the facility was completed and licensed in July of 1991, and Medicare certification was granted in October of 1991. The first surgical procedure was performed in the SurgiCenter on July 29, 1991. In July of 1996, McLean County SurgiCenter, Ltd. made a strategic decision to joint venture the SurgiCenter business. The intent of the joint venture was to create an Orthopedic Center of Excellence through the expansion of the facility, the recruitment of additional practitioners, and an affiliation with a larger organization sharing similar values and a similar vision. The result of this effort was The Center for Orthopedic Medicine, LLC, an organization jointly owned and operated by McLean County SurgiCenter and BroMenn Physician Management Corporation. BroMenn Physician Management Corporation (BPMC) is a for-profit subsidiary of BroMenn Healthcare and is the organization that owns and operates all Physician Practices for BroMenn Healthcare. In 1999, The Center for Orthopedic Medicine changed its name to doing business as (d/b/a) The Center for Outpatient Medicine to better reflect all surgical specialties done at the SurgiCenter. 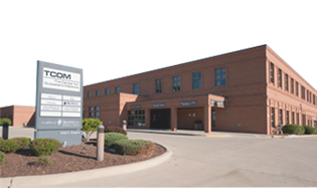 In 2009, a three bed 72 hour Postsurgical Recovery Care Center (RCC), called BroMenn Comfort and Care Suites opened. Although the RCC is primarily owned by BroMenn Healthcare Hospital, the RCC is ultimately a joint venture between BroMenn Healthcare Hospital and all the other TCOM shareholders. The Center for Outpatient Medicine, LLC, consists of a licensed Ambulatory Surgical Center (ASC) called the SurgiCenter, and a Recovery Care Center called BroMenn Comfort and Care Suites.